Hey, Everyone. 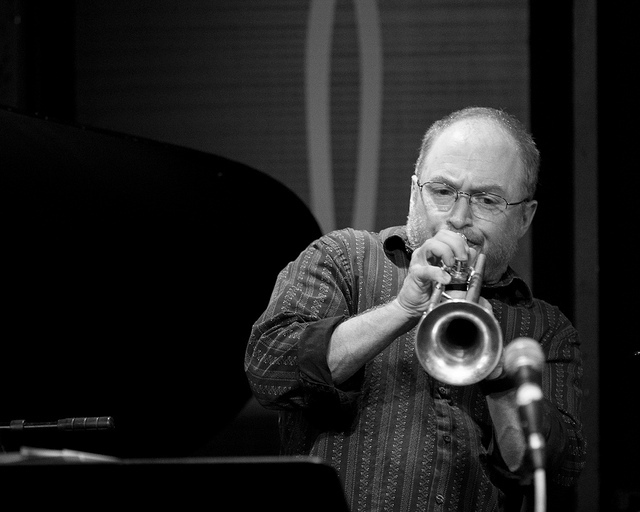 I'm excited to finally publish this interview with trumpeter Brad Goode. This is definitely my most in-depth interview to date. There are so many great stories here! Brad is such an incredible storyteller that I've included audio for the stories starting in part 2. Stories about Red Rodney, Chris Potter at 13 years old, Eddie Harris, Arturo Sandoval and his first trip to the United States, Barrett Deems (these stories are really funny), Lin Halliday, Rosemary Clooney, Ron Blake, Jodie Christian, as well as a conversation at length about Von Freeman's playing. There is A LOT here. On the right side of this site there is a fancy messaging box. Please feel free to send me a message if you have any thoughts, comments, or additions. Hope you enjoy this interview. I had a great time putting it together. Here is Brad's bio in case you aren't already familiar with his incredible career. In recent years, Brad has increasingly appeared as a lead trumpeter with many big bands and symphony orchestras. His 15 solo recordings can be heard on the Delmark, Sunlight, SteepleChase, and Origin labels. Mr. Goode has served on the faculties of the American Conservatory of Music, New Trier H.S., Cuyahoga Community College, The University of Cincinnati College Conservatory of Music, and The University of Colorado, where he is currently Associate Professor of Jazz Studies. DM:	What have you learned from spending your life studying music? What did you learn about life or about people or about what’s a perspective that you gained after all of this time of going deeply into the world of music? What does it expose about life as a larger and … in a larger way? BG: I think music is; here is something where … it’s about the balance between expressing your individuality and the connection that comes in collaboration. My wife is a serious writer. In observing that way of being an artist, I relate her experience to the feeling I have when I’m composing; you sit by yourself and try to gather your thoughts and your experiences and express them. As an improviser and soloist, I have absolutely no interest in playing by myself, except to prepare for playing with other people. I can’t stand practicing, but I practice all the time, in order to be ready when playing with others. I don’t really have interest in presenting myself in a rehearsed way to people. I don’t have a thing that I’m polishing to impress you with, or some special routine I learn to do in an upcoming performance. I could do things that, if I wished. I’m capable of writing music and I’ve written some ensemble music. I’m capable of rehearsing a band. I’ve had some steady bands in the past, but these things are not really essential to my way of playing. I’m playing for the experience of connecting with other people in an endeavor that is forcing everybody to be his or her highest self. We come together to do it, and to create something that is greater than any one of us could do individually. That’s what I like. I like the spontaneity of group interaction. I like the surprise. I don’t like the prepared show. I know that rehearsing is sometimes important, but I don’t enjoy rehearsing. I know a lot of people who believe that a true musical artist is someone who plays his or her own music. Okay, they are saying “I’ve got my own original music and a style to present,” and I think, “Okay, that’s fine, but there might be more to Jazz than simply presenting your own new compositions and licks. The music is deeper if you know the song really well and I know the song really well, and we’ve both been involved in our preparation for years. When we meet we don’t have an agenda or an expectation of what’s going to happen. We simple allow something to happen, and at that moment the brain is firing on a much higher frequency than most human beings ever experience in any endeavor in their lives. When improvisers who are qualified and prepared in this way come together to create music, this is perhaps the highest level of excitement or thrill that I’ve found in my experience of being a human being. This is the essence of the experience I’m looking for. When I’m not doing it, I’m usually just preparing to do it. Not to rehearse it, but to be in shape technically, musically and mentally to do it when the next opportunity arises. I also don’t want to worry about meeting anyone’s stylistic expectations. I abhor the sameness in much of mainstream Jazz; or as Curtis Fuller says, “send in the clones.” Von Freeman was a very important example for me. The lesson was; don’t sacrifice your uniqueness to the pressures of conformity. Freddie Hubbard is acknowledged as an iconoc jazz trumpet stylist. A lot of the music world would prefer to hear somebody like me play like Freddie Hubbard. They would like me much better. I would be like the popular guy in school if I would just play like Freddie Hubbard. I often feel that these people listen to me and think, “What’s wrong with you? Can’t you see that X plays like Freddie Hubbard and Y plays like Freddie Hubbard and Z plays like Freddie Hubbard? You can do it, can’t you?” Of course I can do it. I’m sorry, but ANYBODY can do that. You know what I can’t do? Play like me. I can’t do that yet and I certainly can’t do it without interaction. I can’t do it by myself. This is the journey. 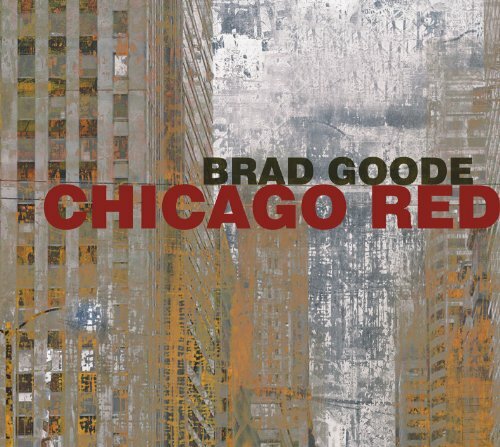 Brad was kind to allow me to post a recording and chart from his brand new release Chicago Red. Check out "Cats in the Yard." Amazing.